East-West Brothers Garage: Editorial: What does it mean to buy American? Editorial: What does it mean to buy American? Following the recent election, the future of many major industries is likely to be in flux, the automotive, motorcycling, and even cycling industries in particular. Each of those industries has their distinct structures for design and manufacturing that can make the idea of "buying American" a difficult one to define. All of them are manufacturing industries that rely on "overseas" manufacturing jobs to one extent or another and with promises from the incoming administration to correct trade imbalances and place tariffs on products made overseas for sale here in the US, there is a lot of uncertainty about what potential impacts there are. And in this day and age of globalized economies, figuring out what exactly is "made in America" is not necessarily clear cut. So when it comes time to purchase that new motorcycle, bicycle, or car, what exactly does it mean to buy American? Let's start with the least complex one: motorcycles. Most motorcycles made in the US are from a handful of small manufacturers and one very large juggernaut, Harley Davidson. H-D builds cruisers at its facilities in Milwaukee. When it comes to American manufactured motorcycles, they are the half-ton gorilla in the room, literally. There are a small handful of smaller manufacturers, mostly focused on niche markets, such as electric motorcycles or custom hand-built motorcycles. But when it comes to large scale manufacturing, there is no representative of the US in the motorcycle world bigger than Harley Davidson. However, even Harley's might use a smattering of parts sources from foreign markets, including things like ABS controllers from Bosch. But where it counts, American made motorcycles are definitely truly American made. This means if you are looking to buy an American motorcycle, the impacts of any "tariffs" is likely to be limited. Of course, buy anything other than an H-D and you might find yourself paying more the next few years than you would have in the past. Bicycles, on the other hand, tend to be a very different story. Very few bicycle manufacturers are even based in the US, much less manufacture here. Some, like Parlee, are very small niche brands that sell primarily higher-end products rather than mass produced bikes. However, even a brand like Parlee has to buy components and materials sourced largely from factories overseas. Most carbon fiber (84% by some estimates) is manufactured outside of the United States or is made by subsidiaries of foreign owned companies. Most large bicycle manufacturers rely on Chinese or Taiwanese factories to do their carbon lay-ups and those that don't are likely buying their raw carbon fiber from the foreign manufacturers that make it. Components, from companies like SRAM, are often manufactured in places such as Taiwan. Nearly all bikes use brakes, shifters, cranks, hubs, and other pieces from only a small handful of manufacturers, all which manufacture outside the US. That means that tariffs will likely send the cost of even wholly US assembled bikes up a bit unless bike makers are willing to sacrifice name-brand parts for more generic ones. Cars are a very different story. Cars are significantly more complicated than either motorcycles or bicycles, sourcing parts from all over the world and with assembly being done where it makes the most financial sense. Starting with the design process, many cars are developed in their target markets in order to tailor them to the unique tastes of the customers of that market. Once a car is designed, individual parts are spec'ed and suppliers located in order to provide those parts. Manufacturing and final assembly may take place in the country of final delivery or in many different areas, depending upon the manufacturer's requirements. However, what really complicates things is the fact that many US manufacturers actually assemble their vehicles in neighboring Canada or Mexico and import that cars back into the US for sale. On the flip side, many foreign manufacturers actually build their cars in the US using primarily American labor and locally sourced parts. This makes hard and fast rules about "buying American" a bit more difficult to decipher. If you go by the American University Kogod School of Business's "2016 Made in America Auto Index" report, some of the Japanese manufacturers outstrip their US competitors in terms of how they rank for being "made in America." 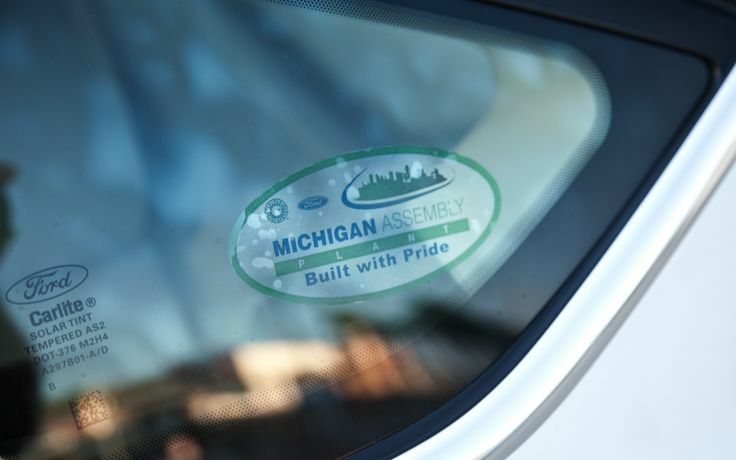 Cars like the Honda Accord and Toyota Camry outstrip the Chrysler 200 and Ford Fusion as being American-made and even many of the small crossovers from Honda and Toyota carry more cred for being American-made compared with their competitors from the Big Three. That could mean that with theoretical proposed tariffs, cars that are built in the US by a foreign manufacturer, such as our very own Honda Accord, could end up costing less to purchase than a comparable Ford Fusion. Crazy as that sounds, this is the weird paradox that has resulted from the globalization of the automotive industry. Of course, all of this is purely an exercise in speculation at this point as no actual new legislation has yet been proposed and it is unclear which, if any, of these industries may be targeted or if things will essentially remain unchanged for the coming years. Whatever the outcome, it is important to remember that to "buy American" these days is an ever more difficult task than it has been before, no matter if it is big ticket items or seemingly inconsequential purchases. For those who feel it is important to support American industries, make sure you think closely about what exactly it means to "buy American" in this day and age because simply supporting an "American" brand may no longer be enough.